We are committed to protecting your privacy. Authorized employees within the company on a need to know basis only use any information collected from individual customers. We constantly review our systems and data to ensure the best possible service to our players and users. All User records are regarded as confidential and therefore will not be divulged to any third party, other than if legally required to do so to the appropriate authorities. We will not sell, share, or rent your personal information to any third party or use your e-mail address for unsolicited mail. Any emails sent by this Company will only be in connection with the provision of agreed services and products. excludes all liability for damages arising out of or in connection with your use of this website. This includes, without limitation, direct loss, loss of business or profits (whether or not the loss of such profits was foreseeable, arose in the normal course of things or you have advised the Gold Coast Connect, LLC. of the possibility of such potential loss), damage caused to your computer, computer software, systems and programs and the data thereon or any other direct or indirect, consequential and incidental damages. Unless otherwise stated, the services featured on this website are available to all members of the general public. You are solely responsible for evaluating the fitness for a particular purpose of any downloads, programs and text available through this site. Redistribution or republication of any part of this site or its content is prohibited, including such by framing or other similar or any other means, without the express written consent of the owners of Gold Coast Connect, LLC. . The Gold Coast Connect, LLC. does not warrant that the service from this site will be uninterrupted, timely or error free, although it is provided to the best ability. By using this service you thereby indemnify Gold Coast Connect, LLC. , its employees, administrators, agents and affiliates against any loss or damage, in whatever manner, howsoever caused. We use IP addresses to administer the site, track user’s experience, and gather broad demographic information for aggregate use. Additionally, for systems administration our web servers automatically log standard access information including your account name and email address that your used to register with us and your connecting IP address. The IP addresses are linked only to your registered account on our website . This information is not shared with third parties and is used only within this website. Any individually identifiable information related to this data will never be used in any way different to that stated above. Copyright and other relevant intellectual property rights exists on all text relating to the Gold Coast Connect, LLC. services and the full content of this website. This Company’s logo is a registered trademark of this Company in the United Sates and other countries. 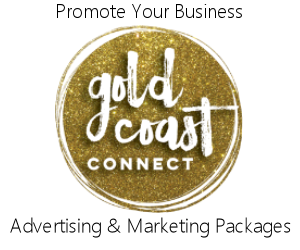 The brand name and specific services of Gold Coast Connect, LLC. featured on this web site are trade marked. Contact information, can be found on our contact us link on our website. The laws of the United States of America, and the State of Connecticut govern these terms and conditions. By accessing this website and using our services you consent to these terms and conditions and to the exclusive jurisdiction of the English courts in all disputes arising out of such access. If any of these terms are deemed invalid or unenforceable for any reason (including, but not limited to the exclusions and limitations set out above), then the invalid or unenforceable provision will be severed from these terms and the remaining terms will continue to apply. Failure of the Company to enforce any of the provisions set out in these Terms and Conditions and any Agreement, or failure to exercise any option to terminate, shall not be construed as waiver of such provisions and shall not affect the validity of these Terms and Conditions or of any Agreement or any part thereof, or the right thereafter to enforce each and every provision. These Terms and Conditions shall not be amended, modified, varied or supplemented except in writing and signed by duly authorised representatives of the Company.